ATM Training & Development works to improve your team to enable continuous improvement and development. 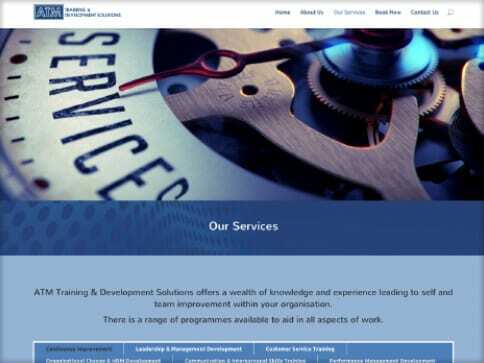 This site needed to be informative and propose a solution to clients contacting ATM Training to book training courses. 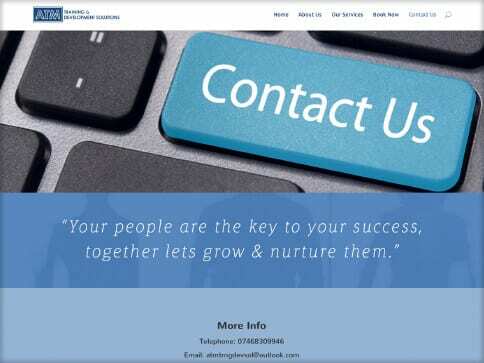 This was done with a personalised contact form that allows clients access to make contact directly. There is a call to action of every page which was vital in order to drive clients to make the initial contact to enable ATM Training to run successfully. Tabs on the ‘services’ page keep all information clear and concise and allow specific information to be found quickly for a good user experience. A ‘Meet the team’ section really allows the world to connect to the business and get to know their employees. The site is responsive and works well on all devices to enable easy access on the move or at home.